Earn $53.99 in VIP credit (5399 points)What's This? 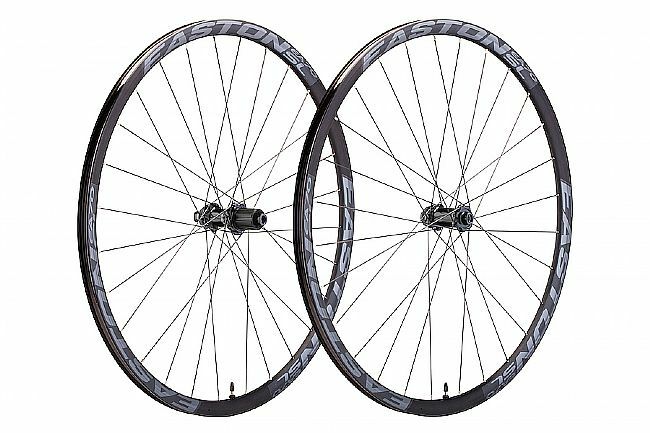 Easton's EA 70 SL Disc Clincher Wheelset features their mountain-inspired X5 CL hub, double butted spokes to save weight, and deep 27mm rims for enhanced stiffness and power transfer. A wide 19mm internal rim width ensures an optimal tire profile even for wider gravel and CX tires. This wheelset comes tubeless ready with tape and valves installed.